1. Unique circuit design, choice of import industrial electronic components, higher efficiency, more stable performance. 2. Creative MPPT technology, efficiency more than 99%, faster reaction, more sensitive of reaction and more reliable of Maximum power point locking. 3. Parallel modular design, small volume, distributed installation, easy for system configuration, flexible for combination, strong expansibility of system. 4. Adopting high-frequency isolation transformer type, high efficiency, high security. 5. Perfect electrical protection function. 6. Aluminum alloy housing, not rust, heat-resisting and cold-resistant as well as anti-corrosion. 7. Getting electronic circuit design, appearance design and other core technology patents. 4. 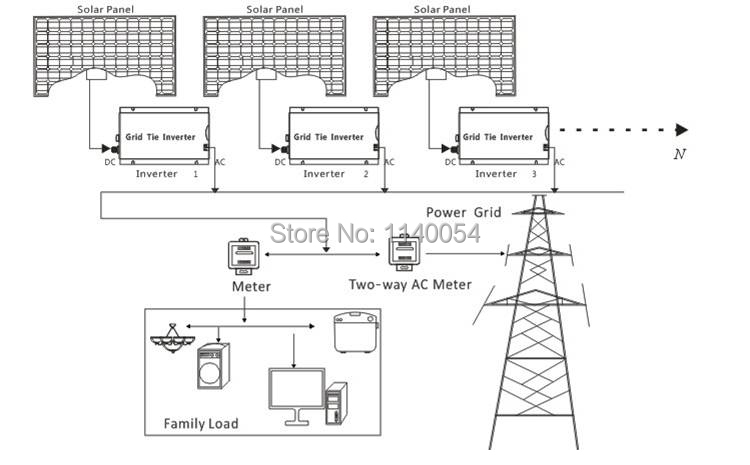 AC power cable connects with Smart Microinverter and residential power grid which refers to low voltage civilian single-phase power grid. 5. Switch on power grid after check for input and output connections are correct and then switch on the Smart Micro inverter. e)Islanding protection: inverter will be automatically shut down for power output when disconnect with power grid. b)Green LED long light: indicates inverter locking-in Max. output power operation status. 3. Please note that above operations only run at grid-connected status. 1. 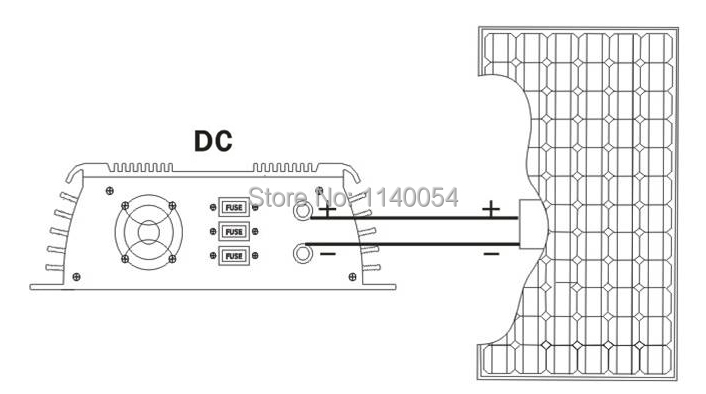 20-45VDC Input (Vmp: 26-39V,Voc: 34-46V), work with 24V/30V-60cells or 36V-72cells solar panel. 2. Work with wind turbine, but a 24V or 30V charge controller needed to be used if the wind turbine without build-in charge controller. 3. Work with 24V battery, solar and wind turbine charging the battery and battery discharging to inverter for energy Conversion. 3. German "safety standard EN 62109-1/-2" "grid standard VDE 4105" "EMC standards EN 61000-6-X".